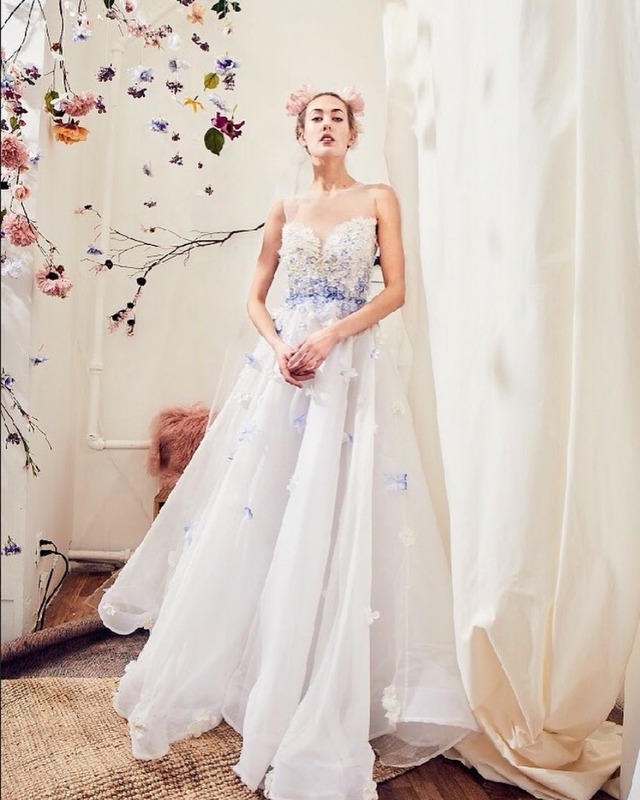 It’s not exactly brand-new information that non-white wedding dresses can be boss as hell, but after all their years trending, they still manage to scare away even the most style-savvy brides. Maybe it simply comes down to FOMO: brides just can’t shake the feeling that they’ll regret not wearing a white dress on their special day. But you know what could be an even bigger wedding regret? Wearing white out of obligation and realizing that even just a smidge of color would have made your smile so might brighter. I’ll be realllll honest; I don’t think white has ever looked good on me. My wedding gown was ivory with some blush and dusty rose ombre effect at the bottom, and I’m so glad I had it, because an all-white wardrobe would have totally washed me out. I’m as porcelain as they come and white on white on white - it’s just not a good look. At the end of the day, as much as we talk about personalization and making sure your wedding day “feels like you,” if you’re making concessions when it comes to your bridal ‘costume’ for the day, then you’re doing yourself a disservice. If you like pink, then do pink. If like Elsa you’re emboldened by icy shades of blue, then get your #somethingblue on (seriously, societal pressures? just let it go). If you’re turned on by the idea of showing up to tie the knot in the antithesis of ‘acceptable’ bridal hues, then wear your onyx with pride. And if rainbow weddings are on your radar RN, then let your inner unbridled unicorn out to play. We’re big fans of brides coloring out of the lines (do you follow us on Instagram? Seriously, can’t even tell you how many colorful brides are adding ✨✨✨to our aesthetic), and have a lot of favorite crayon-colored confections running through our heads at the moment. But as you scroll through the kaleidoscopic cascade of couture, keep a few of these tips in mind. They might just make you feel a lot better about nixing white wear from your wedding. To echo earlier sentiments, we understand the FOMO associated with not wearing white for the wedding. But we can fix that… Instead, go with white in all its iterations for your engagement party, bridal shower, bachelorette and even post-wedding brunch, and surprise the s*** out of your guests with a colorful gown on the day of and a gorgeously-dressed girl squad in white. The impact will be next-level. Everyone has a color that when they wear it, they just shine. Mine is somewhere in the sangria/fuchsia/hot pink stratosphere - which would have been pretty interesting on my wedding day. But really, if your besties make a point of saying “OMG, that color is amazing on you” on multiple occasions, chances are you’d probably slay in it as a bride - when you’re looking your best, feeling your best, etc. If your go-to hues are a little dramatic, think about tempering them with something just a few shades softer. 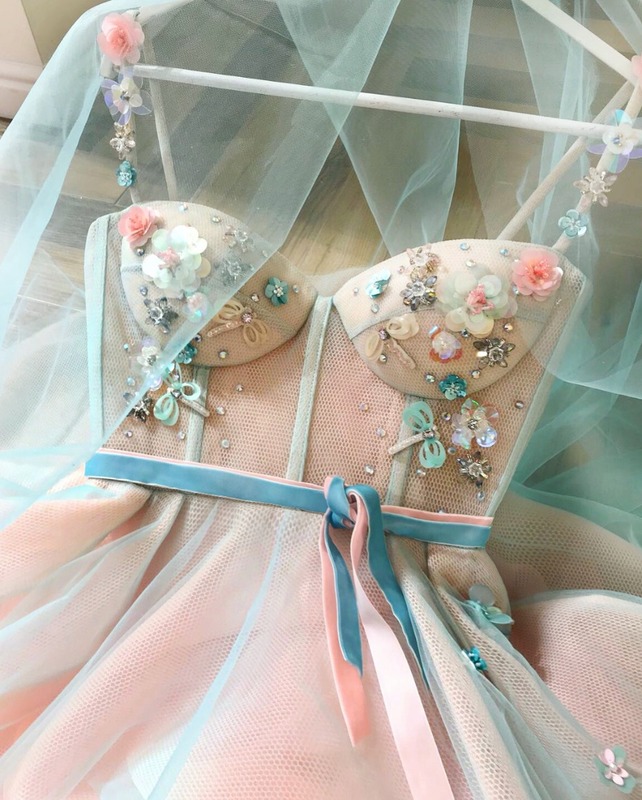 Most bridal houses have familiarity with colorways outside of white these days, but if you’re on the hunt for a specific shade - dove grey, blush, pistachio, lavender - hone in on the ones who do it well and hit up the bridal boutiques and shops that stock them. If you can go into your appointments with some clarity, you’ll be able to give your consultant great direction. And if they don’t have what you’re after, don’t get discouraged / settle for a white dress that they obvi have in no short supply. Have a grandma who can’t even bear the thought of you getting married in anything other than white? Or even a fiancé who can’t fathom you being alternative with your aisle-style. It’s totally normal. So, to ease them (and even YOU) into the vibe, just try on the ivory edition of any dress you love - and see if it moves you in any way. It might also help ‘the haters’ to cope, if they see that you’re at least humoring them and giving their preferences some consideration. Once they see you light up in the gown you’ve been gushing over, they’ll probably start giving in. TG. Rocking a colorful gown on the aisle is a statement already. So, make sure your glam squad knows the deal and can create a complimentary look that won’t clash with your dress. Or go completely makeup free! Same goes for your bridal baubles. Stick with chic and classic pieces that don’t compete with all the drama going on in your dress. 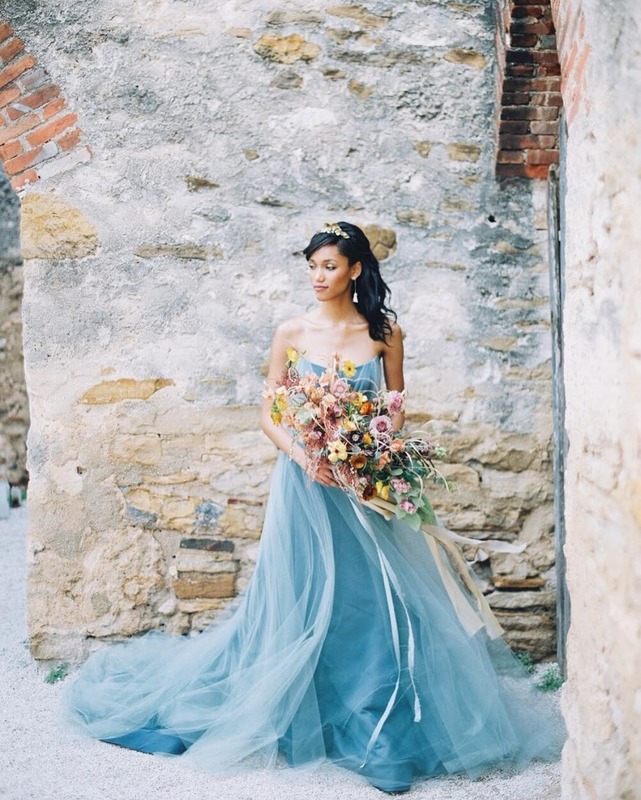 And if a full-on colorful gown isn’t your favorite, then consider adding something like a color-washed cape (so trendy) or a statement veil that brings some tonality from your head down to your toes.